Hou Stand trains and plays volleyball in Sports Center West in Rotterdam-West, at the border of Rotterdam and Schiedam. 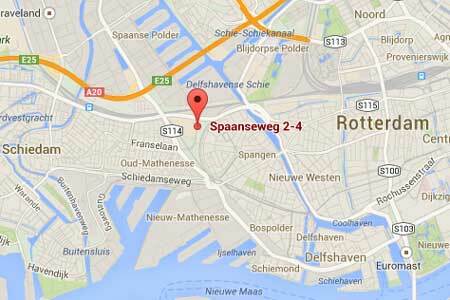 The sports center is in the district Delfshaven, near the Sparta-stadion. Address: Spaanseweg 2, 3028 HW, Rotterdam, 010-2620955. Click the card for Google Maps. Route description by car: A20, exit 12 Rotterdam West, direction Spangen / Delfshaven (S114), after about 1 km go left at the traffic lights (S115). Follow this road, the sports hall is after about 700 mtr at the right. Route description with public transport: bus 38 (Schiedam <-> Rotterdam Central <-> Crooswijk) stops at the Spaanseweg at about 200 mtr from the sports center. 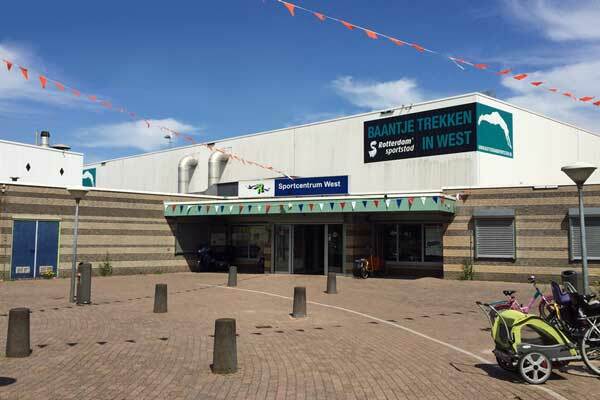 Also possible: from metro station Marconiplein it is a 12 minutes walk to the sports hall.